A meeting of the Strategy and Corporate Plan Committee. Thursday 4th April 2019 at Huntingdon Library from 1.30pm - 3pm. Fen Skating: EngAGE in the Afternoon, a talk by the Norris Museum. Free (donations welcome) booking required. Please speak to library staff or call 0345045 5225 for a ticket. 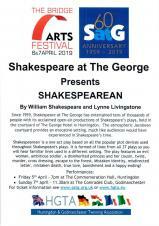 Shakespeare at the George presents Shakespearean by William Shakespeare and Lynne Livingstone. Part of the Bridge Arts Festival. Shakespearean' is a one act play based on all the popular plot devices used throughout Shakespeare's plays. It is formed of lines from all 37 plays, so you will hear familiar lines used in a different setting. The Play features an evil woman, ambitious soldier, a disinherited princess and her cousin, twins, murder, cross dressing, escape to the forest, mistaken identity, misdirected letter, mistaken death, true love, banishment and a happy ending! Performances are free but are ticketed for maximum number purposes. Tickets can be reserved, for collection on the door, or, may be obtained on the day, on a first come, first served basis. Seat numbers are not allocated. 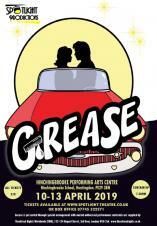 To reserve tickets for Godmanchester performances e mail Sofia at comrades.club@gmail.com. Your reservation will be confirmed and tickets will be available for you to collect on the door. Tickets will also be available for reservation at the Comrades Club on Sunday 3rd March and Saturday 9th March during normal opening hours. 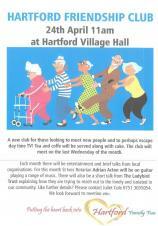 For Huntingdon performances contact Anna Best at bridge.artsfestival@gmail.com. 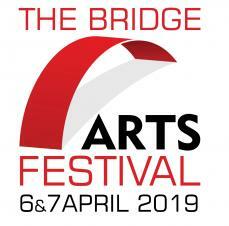 Huntingdon and Godmanchester Twinning Association, in conjunction with the local town councils are organising an Art Festival in April 2019: The Bridge. Artists from our twin towns will be exhibiting examples of their work in various venues across Huntingdon and Godmanchester and HGTA are hoping to involve as many of our local arts groups as possible to produce a truly remarkable weekend of events. Local spinner, Becky Barrett, will be in the Museum demonstrating traditional spinning with a variety of fibres, as Huntingdon is 'yarn bombed' for the town's arts festival. Visitors will be able to discover different fibres, finished yarns, all the different and intriguing terms used in the craft and have a go at winding a skein! 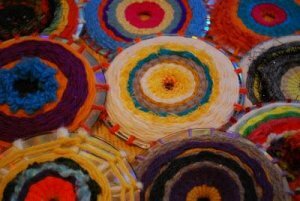 Children can also weave their own creation using recycled materials, which will then be joined together to form a wonderful collaborative woven artwork, whilst a small display will explain the importance and use of wool in the time of Oliver Cromwell, when it was our biggest export and industry. Huntingdonshire Society for the Blind Fundraising Coffee Morning, Wednesday 10th April from 10.00am - 1.00pm at All Saints Church in Huntingdon. Please join us for delicious homemade refreshments, have a go on our tombola and raffle stalls and browse the wide range of handcrafted goods on the craft stalls. Three day beer festival for beer lovers! Do you have a physical disability and live in Cambridgeshire and the surrounding areas? Do you want to play football? If the answer is yes - come along to try this fast-paced exciting sport! 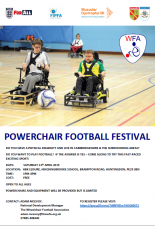 At Hinchingbrooke Leisure, Hinchingbrooke School, Brampton Road, PE29 3BN from 1pm - 4pm. 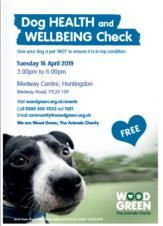 Wood Green The Animals Charity are offering a FREE Family Dog Workshop at Tesco Huntingdon Community Space on Tuesday 16th April 1pm-2.30pm. Booking is essential as spaces are limited, booking can be done via our Facebook event. This workshop explores everything you need to know about healthy and happy dogs. Explore your dog's basic needs, how to stay safe around dogs, try your hand at making feeding time fun and have a go at dog training. Suitable for ages 5 – 95 and for families who either already own a dog or are thinking of a dog joining the family in the future. Free Dog Health and Wellbeing Check, give your dog a pet 'MOT' to ensure it is in top condition. On Tuesday 16th April 2019, from 3.00pm - 6.00pm at the Medway Centre, Huntingdon, Medway Road, PE29 1SF. Join Churches Together in Huntingdon and Godmanchester for their Walk of Witness. Join an experience the power and relevance of Jesus' seven last words from the cross. 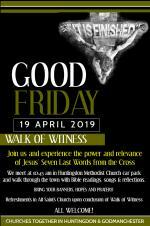 Meet at 10.45am in Huntingdon Methodist Church car park and walk through the town with Bible readings, songs & reflections. Bring your banners, hopes and prayers. Refreshments in All Saint's Church upon conclusion of Walk of Witness. 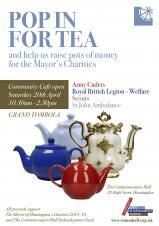 Pop in for Tea and help us raise money for the Mayor's Charities: Army Cadets, Royal British Legion Welfare, Scouts and St John Ambulance. Community cafe open Saturday 20th April from 10.30am - 2.30pm at the Commemoration Hall, 39 High Street, Huntingdon. Including grand tombola. All proceeds support The Mayor of Huntingdon's Charities 2018-19 and The Commemoration Hall Redevelopment Fund. 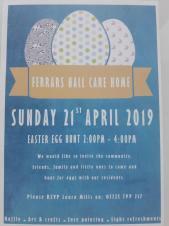 Ferrars Hall Care Home would like to invite the whole community to join them for their Easter Egg Hunt on Sunday 21st April from 2-4pm. Donations towards the cost of refreshments would be greatly appreciated. Join Huntingdon Racecourse for a day of fantastic family fun to celebrate Easter at Huntingdon Racecourse. As well as excellent racing on the track, there will be plenty of themed entertainment to make the perfect family day out for everyone. St George's Day Flag Raising Ceremony, from 10.00am at Huntingdonshire District Council, Pathfinder House, Huntingdon. Tuesday 23rd April 2019 from 3.00pm - 6.00pm at Trinity Free Church, Hartford, Huntingdon, PE29 1LY. Trinity Free Church, Hartford, Huntingdon, PE29 1LY. Thursday 25th April 2019, Acoustic Night with Elizabeth & Jameson at Niche Comics and Bookshop from 7.00pm - 9.00pm. Tow great local musicians performing in the shop. As always there will be refreshments and donations for the performers. Dog Health and Wellbeing Check, give your dog a pet 'MOT' to ensure it is in top condition. HTML5 validated. WCAG compliant. Page generated in 0.167 seconds.